The government has a big responsibility towards the youth of the country who are facing an acute problem of employment said Dr. Sarath Amunugama, Minister of Science, Technology, Research, Skills Development and Vocational Training and Kandyan Heritage. 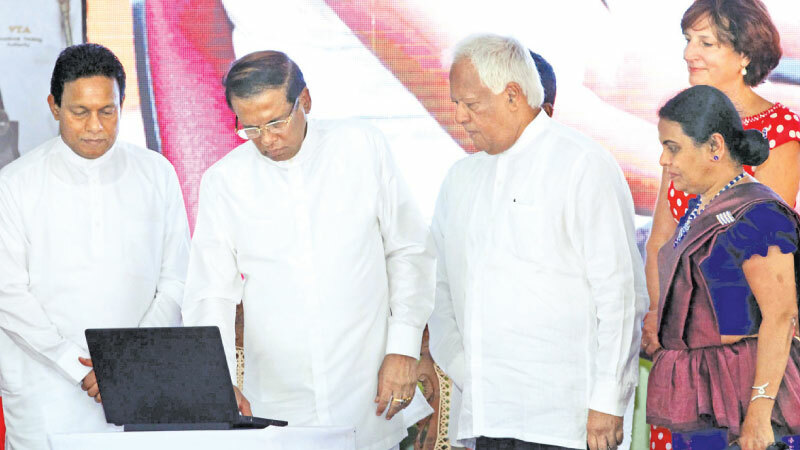 The Minister was addressing a ceremony held last Friday at Higurakgoda for laying the foundation stone for a building complex for a new National Vocational Training Institute and the inauguration of the ‘Nipuni’ Job Bank, by President Maithripala Sirisena. He said that the only solution to this problem is through the acquisition of vocational and technological skills required by the modern work place. For this reason the minister said that he has directed all the vocational and technological training institutions under his ministry to double their intake of students from next year. He said that he has also directed them to upgrade their courses of training to international level so that a person who has qualified at any of these institutions will be able to find employment not only locally but anywhere in the world. Dr Amunugama said that the objective of the government is to secure for the youth not just any job, but good jobs based on advanced technology.